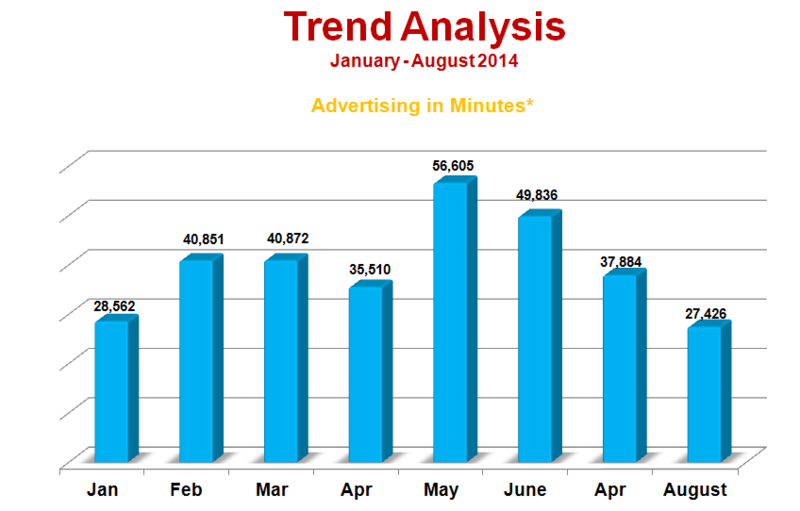 A snapshot of the Radio Industry – August, 2014. Find out who’s leading the industry with radio campaigns? Who’s getting the best return from radio? RADIO INDUSTRY REPORT gives the overall picture of advertising on RADIO during the month of August, 2014. It covers top advertisers, categories, brands and FM Channels and their % share in total advertising in terms of minutes. The report also focuses on share of FM channels, share of each genre and ad-spend split over the time slots. Note: Ad volume is based on minutes and ad occurrences. The figures should be taken only as indicative not as absolute figures. • Telecom topped the advertising on Radio during August 2014 followed by Tea and E commerce Websites. Combined the top three advertisers share amount to a total of 32.8%. 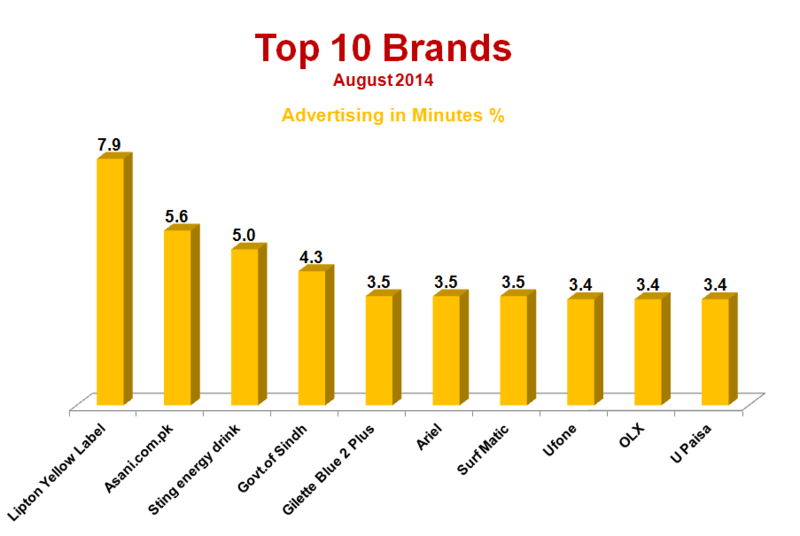 Interestingly both Tea and Ecommerce Websites had no advertising share on Radio in July, 2014. • Ecommerce Websites competing with each other such as Asani.com.pk and OLX have also chosen Radio for advertising.